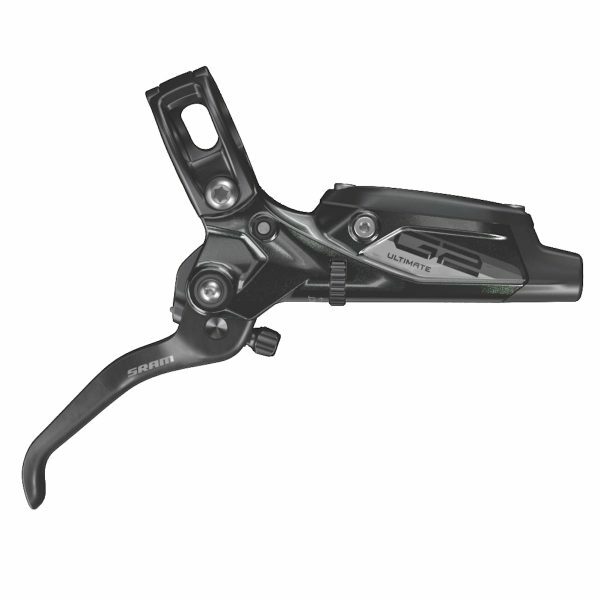 Today, SRAM launches its G2 range of brakes, which replaces the former Guide brakes. They’re still a four piston brake, and our brief rides out on them suggest they’re still very good at stopping. So what’s changed, apart from the name? Top of the line Ultimate. 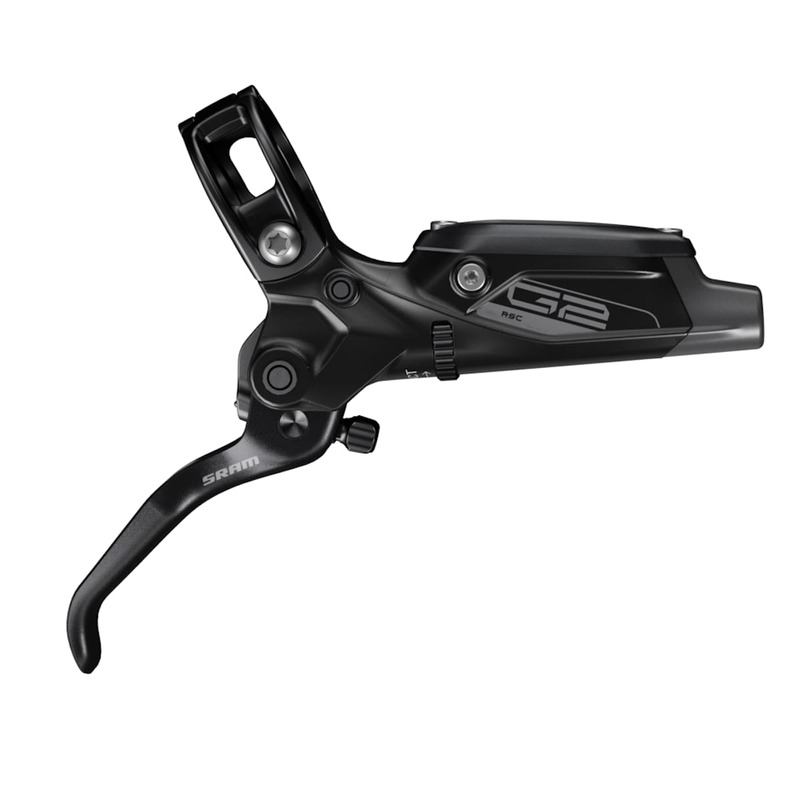 The Ultimates come with a carbon lever and pivot bearings, while the RSCs have alloy levers and pivot dowel and bushing. We have got ours muddy. Probably not muddy enough to justify metallic pads. ‘G2’ is simply the second generation of Guide brakes, and five previous models of Guides have been replaced by just the two G2 models, which which both have tool free reach and pad adjustment. The new G2 RSC comes in about twenty quid cheaper than the previous Guide RSC – the lowest priced model to feature both of the tool free adjustment options: lever reach and pad contact point. Look a bit different. Feel very familiar. 2 points of tool free adjustment. 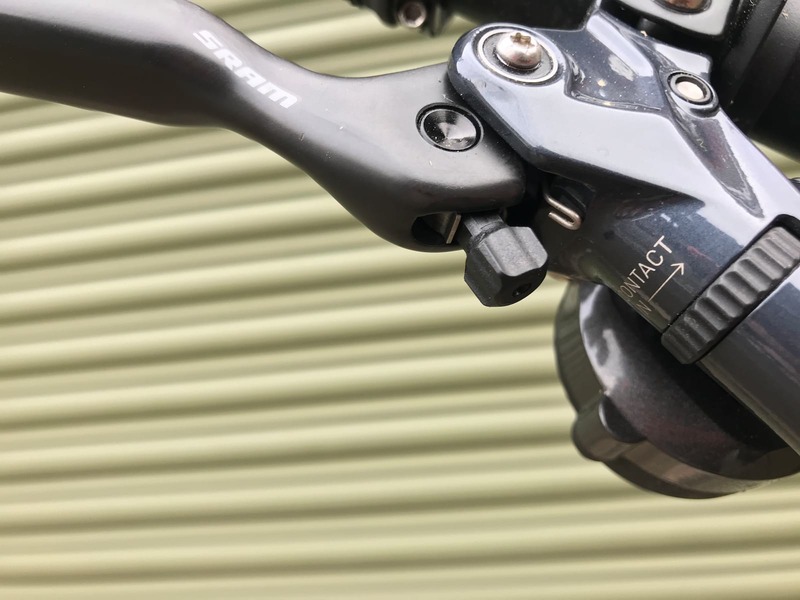 For the e-bikers, the Guide RE remains in play, and along with the Code brakes, are SRAM’s recommended brakes for e-bikes (although SRAM’s other brakes are ISO certified and will withstand e-bike usage). Speaking of Codes, SRAM says that the new G2 is like a ‘mini Code’. 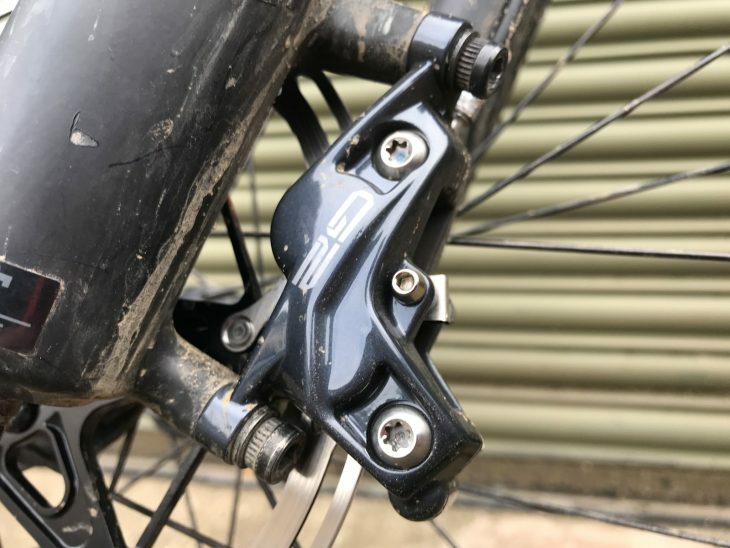 New callipers are stiffer and the connection points around the body bolts are larger – giving less flex and more direct power transfer. 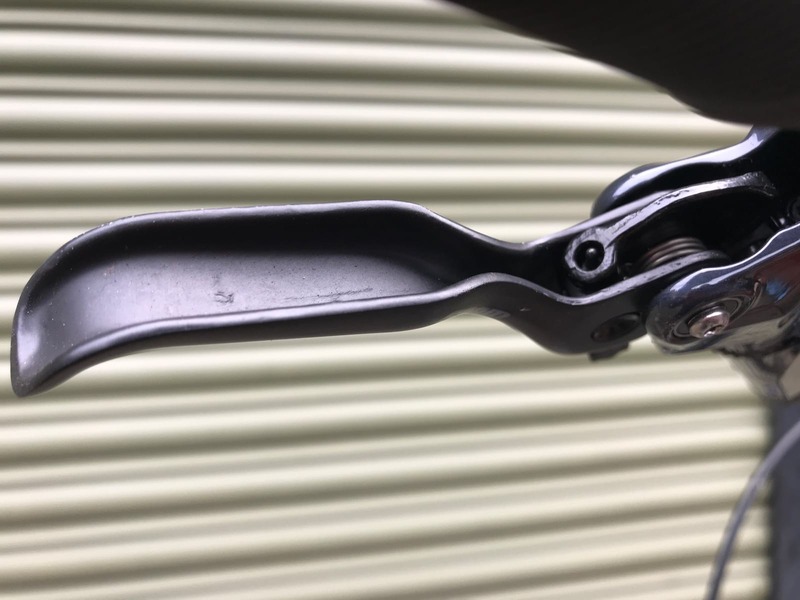 SRAM says that the new calliper design gives a consistent bite point throughout the life of a set of pads, and with the new Power Organic pads this results in 7% more braking power…more on pads in a minute. Phenolic pistons eliminate the need for Heat Shield, and the pads on the G2 stands away from the calliper, allowing cooling between the two. 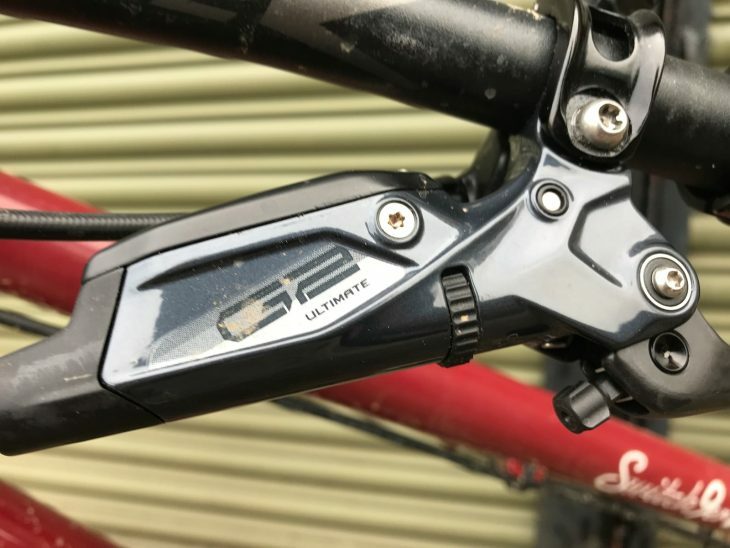 SRAM says that the heat management of the G2 remains the same as on Guides. SRAM says that these changes will allow consistent braking throughout the life of the pad – so, right up until the pad needs replacing (which SRAM says you should do when the pad plus the backer plate is less than 3mm, not when there’s a nasty scraping noise). 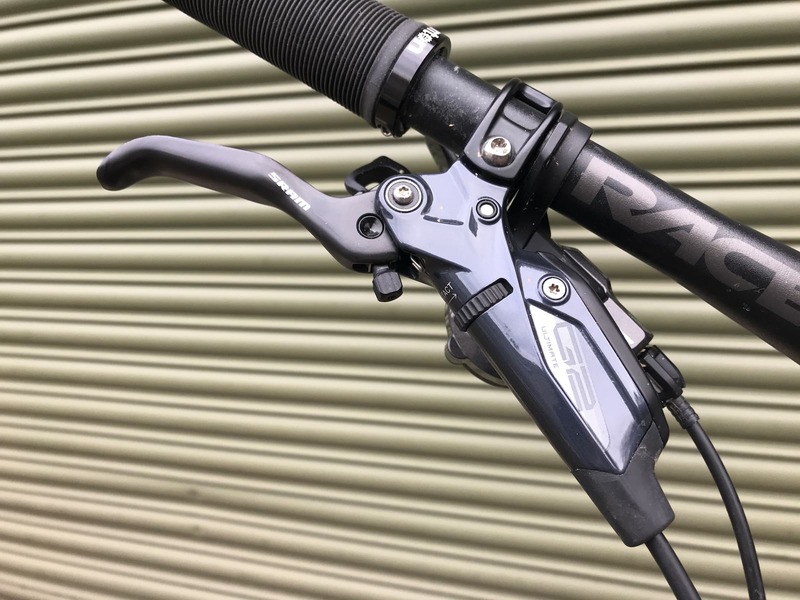 While the levers have been deliberately designed to retain the same leverage ratio of the Guides, some changes have been made to the assembly to deliver the G2 RSC at a lower price point. 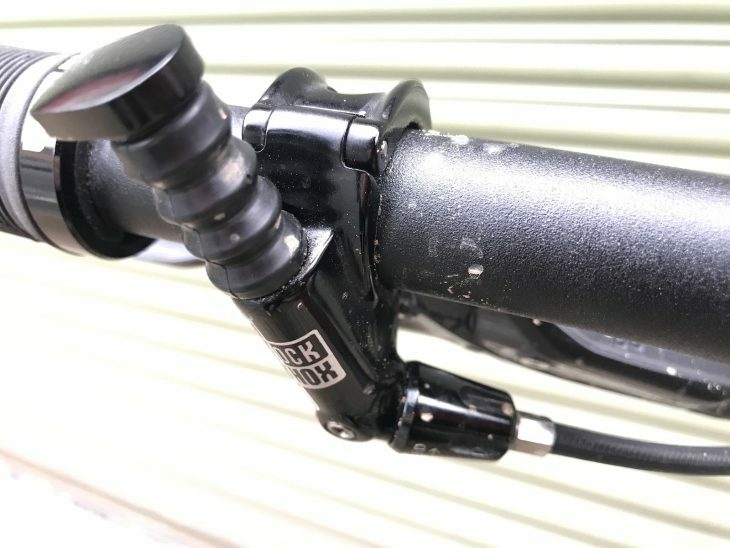 The RSC lever is connected via a pivot dowel and bushing, while the Ultimate’s carbon blade uses pivot bearings. Light carbon levers on the G2 Ultimates. 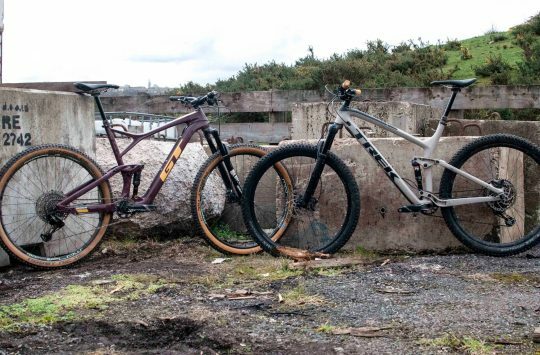 As you’d expect, is match-made for Rockshox. Metallic – £23, Copper backing plate – long lasting, for wet and muddy conditions. Power Organic – £27, Grey backing plate – quiet but powerful. 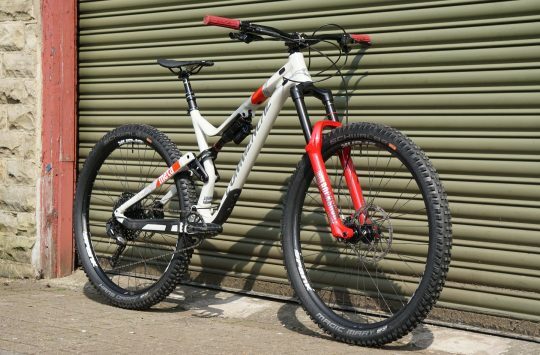 New matte finished hoses are designed to be easier to install thanks to them being less prone to holding a shape – which should also help keep that front end of your bike looking tidy. No more bird’s nest loops. 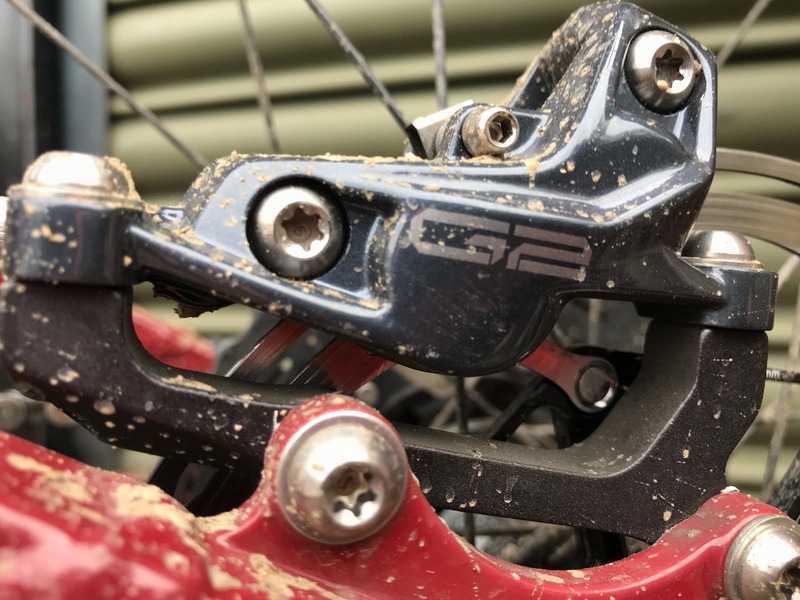 We’ve had a brief ride or two out and about on these brakes, but we’ll need longer with them to pass much comment beyond the fact that these feel as you’d expect: not a lot different from the old ones, and still very effective. 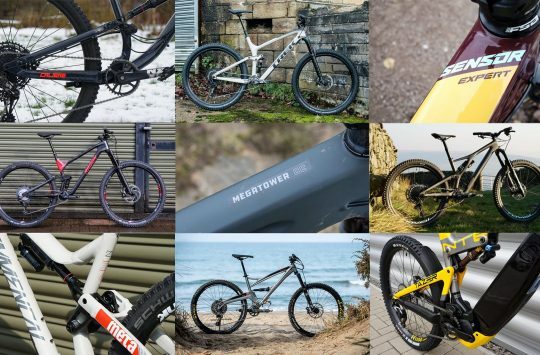 Give us a bit more time to drag them down repeated long descents, coat them in grit, and heat them up, and we’ll be better placed to tell you if these design tweaks add up to anything significantly different in feel or durability. For now, if you’re looking for tool free adjustment (especially handy for the smaller handed rider), four-piston braking power just got about £20 cheaper. 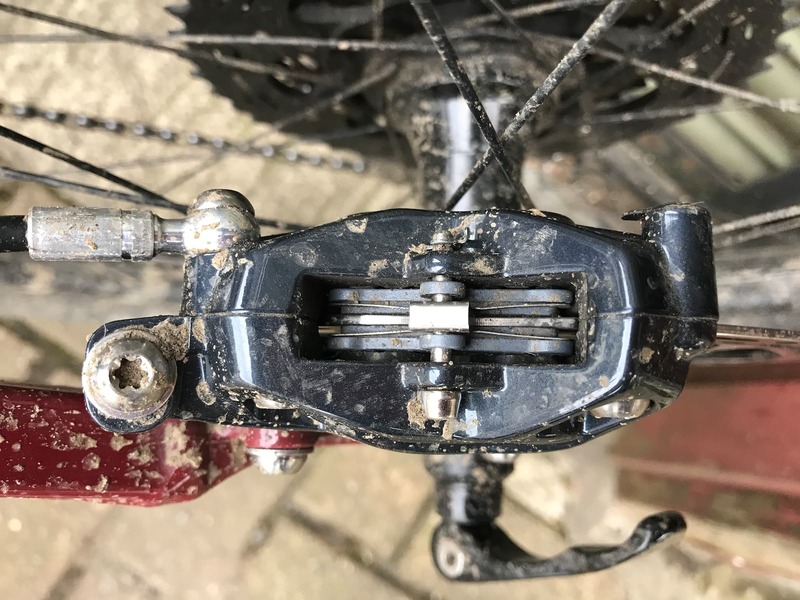 Will the new pads fit the older Guide Calipers or are they G2 specific?